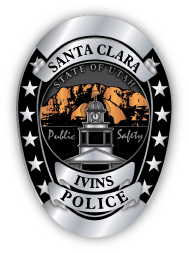 The Police Department is responsible for the safety and well being of the citizens of both Santa Clara and Ivins City, which it serves. 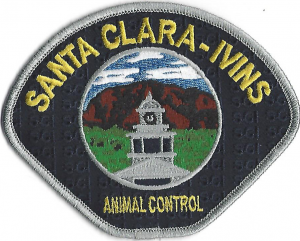 Duties include enforcing traffic laws and regulations, responding to calls for service, investigating crimes, maintaining the peace, taking care of animal problems, supplying information and educating the public, and responding to all fire and medical calls in the area. Fire/Rescue personnel provide fire services to the residents and businesses of Ivins City, as well as a 495 square mile response area which includes Gunlock, Snow Canyon State Park, Motoqua, Shivwits Indian Reservation,and Old Highway 91 to the Arizona border. They respond to fire calls (brush, residential, vehicle, etc. ), accidents, and other incidents requiring immediate action to reduce the loss of life and property.